I posted about a winter coat I bought a few weeks ago but I haven't got much wear out of it. The weather is still so lovely! 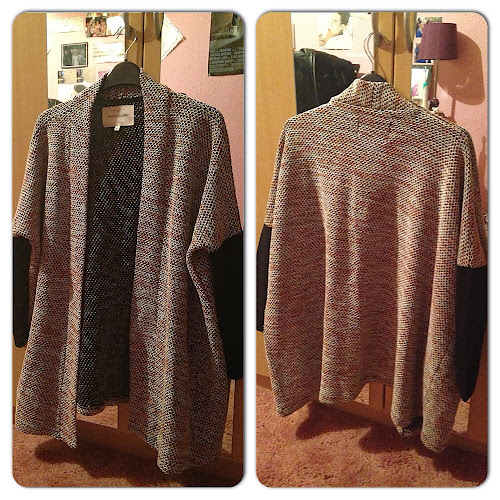 It's a jersey style cardi with red/grey fabric and black sleeves. It's £35 - a little pricey but I just loved it so much and I know I'll get lots of wear out of it. Look online or check in store if you like the look of it. It's so lovely!